Home News Chrisland University, Abeokuta Matriculates Her Fourth Sets Of Students Today. Chrisland University, Abeokuta Matriculates Her Fourth Sets Of Students Today. One of the prestigious private Universities in Nigeria, Chrisland University, Abeokuta, will on Thursday, the 7th of March, matriculate her fourth set of students for the 2018/2019 academic year. The Vice Chancellor of the University, Professor Chinedum Peace Babalola says that the event will take place at the university’s auditorium from 10.00 am and in addition, said that the matriculation will coincide with the excitement of the recently accomplished feat by the institution. 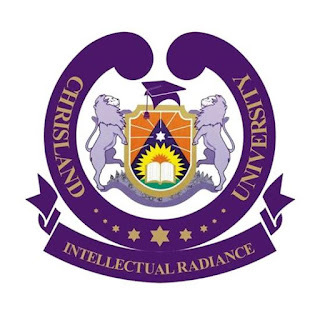 The University had an accreditation exercise carried out by the National Universities’ Commission, NUC few weeks ago, which saw Chrisland University recording a 100 percent accreditation of all her 9 courses in both Colleges of Arts, Social and Management Sciences, and Natural and Applied Sciences. The very elated Vice Chancellor says that “This is the first time such an exploit is being achieved!” and we are very proud of ourselves here and appreciate God for the abilities to get this far. Professor Chinedum Peace Babalola added that the Matriculation will have Mr. Oluseye Alabi, Managing Director, Forte Oil Services Upstream, delivering the matriculation lecture on the titled topic: “Exceeding the Norm”. She further stated that the Matriculation will witness the convergence of students, parents, and well-wishers in one roof to celebrate with us.